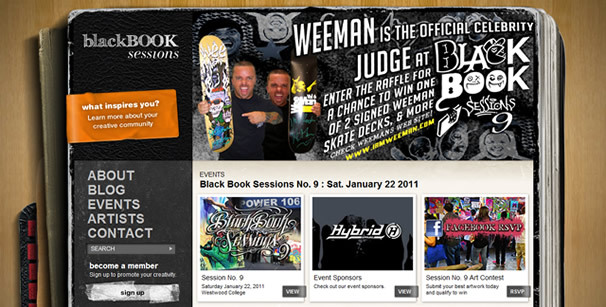 Just in time for Black Book Session 9 next weekend, we are proud to have been a part of the redesigning of BlackBookSessions.org. “Black Book Sessions is a non-profit organization committed to empowering and inspiring young, talented minds[…] dedicated to helping kids & teens develop their artistic skills and build their confidence.” Now up and running on WordPress (as of Friday late afternoon), the new site does a great job spotlighting their upcoming events, blog activity, and of course, the rad artists. Are you going to Session 9 this weekend?